We all complain about the cost of car insurance from time to time, don’t we? The truth is that it is impossible to do without this type of cover if you plan to use your car. However, the good news is that there are some smart ways to pay less. Do you only use your car very occasionally? If you do then it is perfectly understandable that you get a bit annoyed about paying out a big premium every single year for it. You might think that there is no way round this but you could find that only insuring it when you need to use it is a better idea. In this case, you could get temporary car insurance sorted out every time you are going to drive it. If the car is going to be off the road for a long time then you can also avoid paying road tax. Just be sure to let the DVLA know that it is going to be off the road and then get it taxed and insured when you need to use it. You can easily sort out temporary insurance cover on the internet with the likes of Insure 4 a Day. Another fairly common situation is that there are a few drivers on the policy who don’t use the car much anymore. You could be paying a lot to have them on the policy, especially if they are young or inexperienced drivers. To get around this extra expense you could again look at the use of a temporary type of insurance cover. By doing this you can add additional drivers for as little as a day and not pay for them during the rest of the year. This also means that you can let people use the car who might not otherwise get the chance to do so, as you don’t need to add them onto your policy in advance. The fact that temporary car insurance can be sorted out at such short notice means that you can even do it at the last minute before a trip away or for whatever journey the cover is needed for. 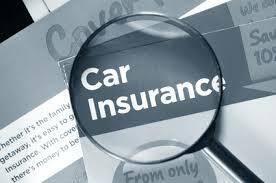 Many different types of discount are also available on car insurance policies. It could be that you could benefit from a discount which you don’t even know about yet. For example, it could be that the security features you have added to the vehicle are enough to justify a decent discount. All you have to do in this respect is ask your insurer what discounts they offer and then see if you qualify for any of them. You might find that by taking an advanced driver’s course or by keeping your car in a secure driveway rather than on the street you can cut down on the cost of the premiums. Once you know what discounts are available you can work out if it’s worth your while making an effort to get one or more of them. Does your car insurer have all of your up to date information on their database? If they have your age wrong or the wrong postcode then this could make a big difference to your premium. Of course, if the facts are wrong then this could result in a more expensive premium for you once it is corrected, just as it could result in a premium reduction. However, it is something which you should still do in order to ensure that the policy is completely correct in all respects. If they hold incorrect information then it could affect any claims you make in the future. I agree. If you’re not using your car, don’t insure it. Some states may not allow temporary insurance so check state laws before using these strategies.